Food Allergies – Effective And Inexpensive Home Remedies! : Vydya Health - Find Providers, Products. You are here: Home / Acidity / Food Allergies – Effective And Inexpensive Home Remedies! Food Allergies – Effective And Inexpensive Home Remedies! Food allergies is one of the most commonly found universal health problem. One might have experienced this in life once in a while. Although very common, it is dangerous if not attended to and solved in time, leading to many more complications. Yet there are excellent home remedies that are inexpensive and easily available. We have to eat food eventually every day. When something not conducive to our body system enters along with the food intake, the body’s immune system, which is always vigilant to combat any anti-body substance entering inside, reacts vehemently. This reaction may be in the form of protective response and is termed as “allergy”; and the substance that triggers this reaction is called “allergen” by the healthcare field. The peculiar fact about food allergies is that it varies vastly from person to person, and even with a person who was eating something without any adverse reaction may find that same substance becomes allergic in a specific circumstance. More than adults, young children are prone to food allergies easily, and thereby suffer from the consequences of food allergies mostly. The cause for food allergies is difficult to pin-point. 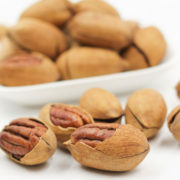 However, arising out of continuous research and medical studies conducted over children and adults, the medical fraternity has found out that there are some common food items that can cause food allergies, in 90 percent of the affected cases. 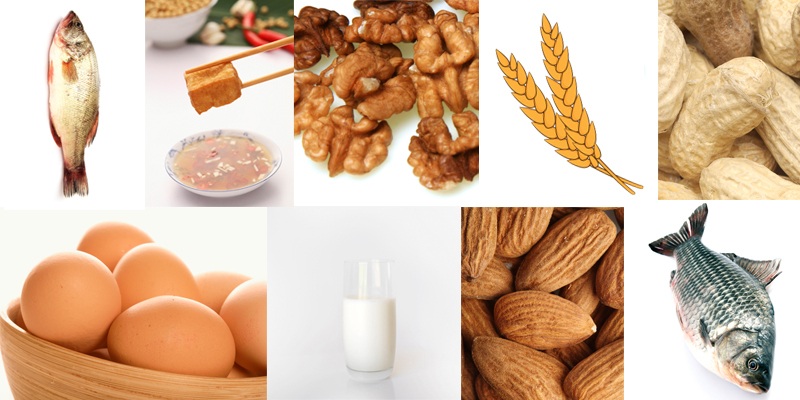 They are – milk; eggs; Tree nuts; Peanuts; Fish; Shellfish; Soy and Wheat etc. Sesame and mustard seeds are also found to be the cause of food allergies in a vide number of cases. In addition, due to the modern life-styles and environments people are prone to food allergies, by the use of pesticides in fruits and vegetables; chemical additives and preservatives in food; synthetic and natural colors used in readymade foods etc. What symptoms indicate food allergies? The digestive organs react adversely when the food allergy occurs. The person will get the reaction mostly in minutes after eating the unwanted substance. The reactions can be mild or severe depending upon the volume of allergic substance causing the allergy. Consequent upon the problem arising in the digestive path, it can show in other parts of the body, especially in the skin through various discomforts. 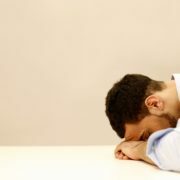 The very first symptom will be vomiting and nausea; followed by throat swelling; running nose and sneezing; gastrointestinal distress and abdominal pain; light headedness or headache; and breathing difficulties and wheezing etc. ; skin rash and hives; Dermatitis and other skin problems. When the patient gets severe reactions like complications in breathing, cardio vascular ducts and respiratory system etc., it may lead to fatal consequences. In the case of severe consequences of food allergies like respiratory failure etc., it is always advisable to rush the person affected to the nearest emergency medical care resource. Otherwise, food allergies can be effectively tackled by using some home remedies and avoidance of food items that cause allergies. As a very first step, you need to find out what has caused the food allergy. This is somewhat tricky of course because you are not sure as what substance or what item you ate caused the inconvenience. So be very careful about what you eat; and record painstakingly what you take for every meal. Suspicious foods about which you have doubts should be completely eliminated. Next you must understand that the acid secreted inside the stomach breaks the food down for absorption. If there is no sufficient acid, you need to increase stomach acid and there are supplements available in health-food stores. You can buy them and take them before and after meals to enhance food acid levels. Bananas are rich with natural nutrients and cleanse intestines from toxic substances. These are effective in combating skin rashes as well, along with stomach discomfort. So take ripe bananas to reduce the severity of food allergies. Fruits and vegetables that contain more of Vitamin C will be very helpful and you can take these harmless food items. Soothing the stomach muscles is important. Ayurveda recommends taking the mixture of carrot juice, beetroot juice and cucumber juice once a day in the morning. Lemon is a very useful fruit which contains lots of Vitamin C and minerals. If it is clubbed with Honey, you can derive anti-allergic properties, and you can drink lemon juice mixed with honey on empty stomach. https://www.vydya.com/wp-content/uploads/2016/07/mix-2-800.jpg 400 800 Megha Goyal https://www.vydya.com/wp-content/uploads/2017/05/vydya-logo-blog-340x156.png Megha Goyal2019-01-19 16:05:432019-01-19 16:05:43Food Allergies – Effective And Inexpensive Home Remedies! 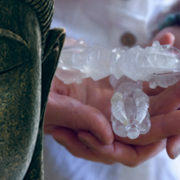 Get the Advantage of Tried and Tested Methods of Treatment with Dublin Holistic Center !! 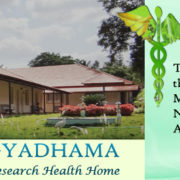 Learn The Art of Living A Healthy Life The Natural Way At Arogyadham!! 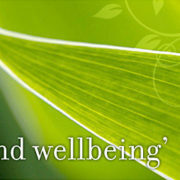 Experience The Long Lasting Effects Of Holistic Healing With Shanti Holistic Clinic!! 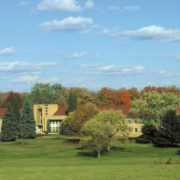 Total Health Center at Himalayan Institute – The Perfect Place To Get Holistic Healing Solutions!! GOMUKASANA for Upper Back Relaxation! What Walnuts, Radish, Cauliflower has to offer in Nutrition and Healthy Cooking!! How massage therapies boost better health?